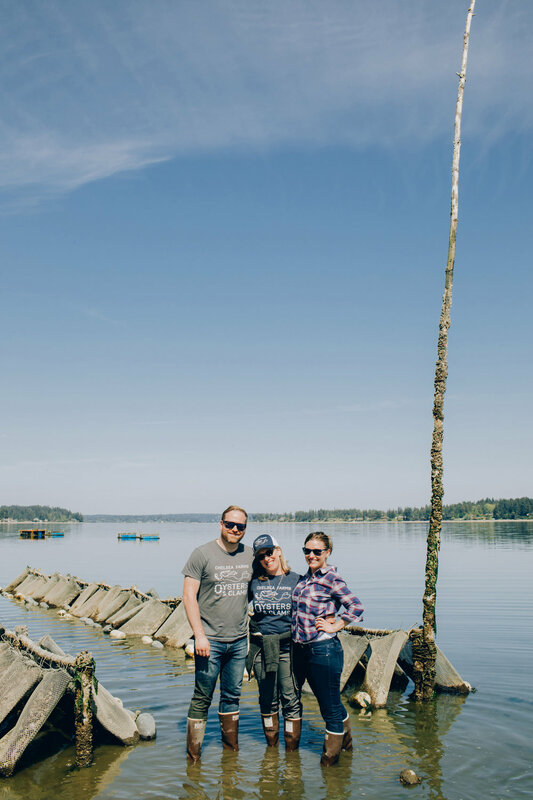 Chelsea Farms first made their mark on Olympia’s map in 1987 when Linda and John Lentz started their adventures in sustainable shellfish farming. Chelsea, meaning Port of Ships, was the chosen name for the company. This was the name of founding owner, John Lentz’s tugboat for geoduck diving in Olympia, Washington and also a comical gesture towards the size of their boat during their early operations, not comparable to a ship. The Lentz’s have always practiced organic sustainable farming with an environmental obligation to the South Sound and Pacific Northwest as a whole. 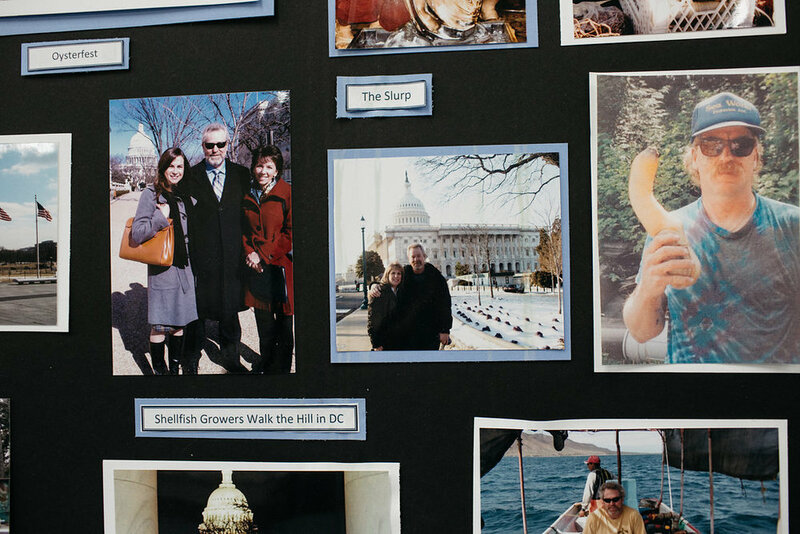 The continual progress seen through the years from Chelsea Farms could not be more evident in the community. 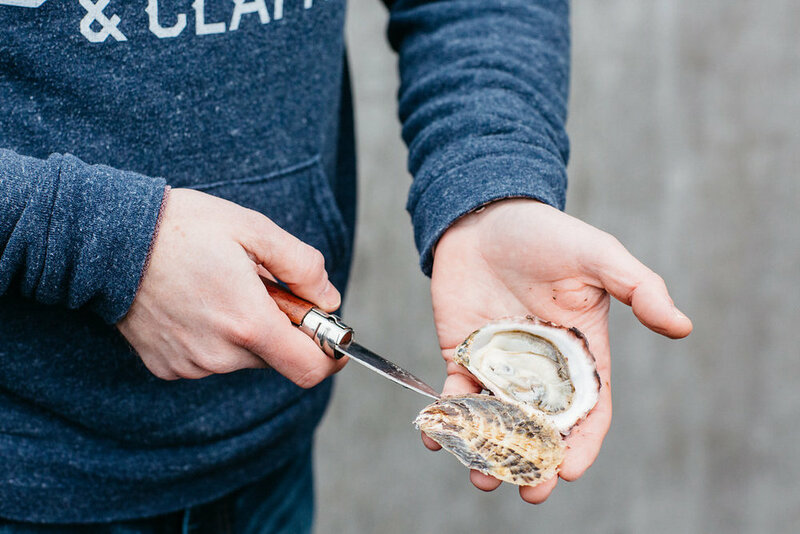 New owners Shina Wysocki and Kyle Lentz, a 2nd generation President of Pacific Coast Shellfish Grower’s Association, carry on their parents mission of paying homage to the indigenous shellfish while creating a genuine rapport in the community with the opening of Chelsea Farms Oyster Bar. Owning a restaurant has always been a dream for Shina. Since opening, she has curated each piece of the bar to be a piece of history and opportunity, from the decor to her staff. Executive chef Henri Ñol brings his background of Mexican culinary heritage to Olympia, WA by incorporating his love of Northwest ingredients and culture to the menu. Kathy Hubler, our bar lead, has created a bar program to be geared towards the flavor of each oyster and be easily paired with the local shellfish. 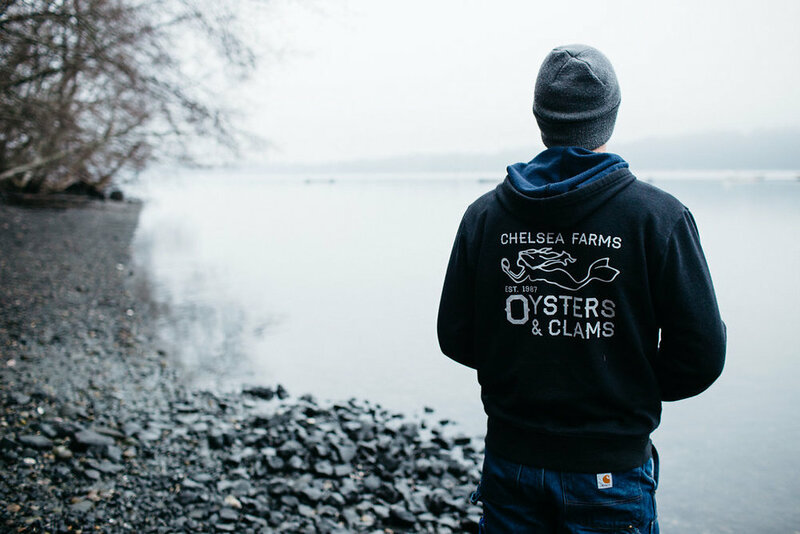 Chelsea Farms Oyster Bar represents the heart and soul of the company. 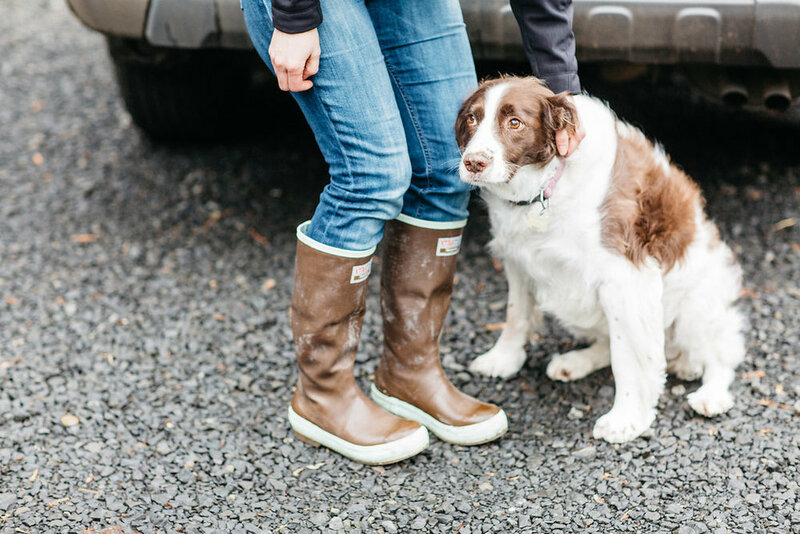 The foundation Chelsea Farms sits on was built by John and Linda, as passionate individuals with ultimate dedication towards shellfish farming; Shina and Kyle carry on that legacy.